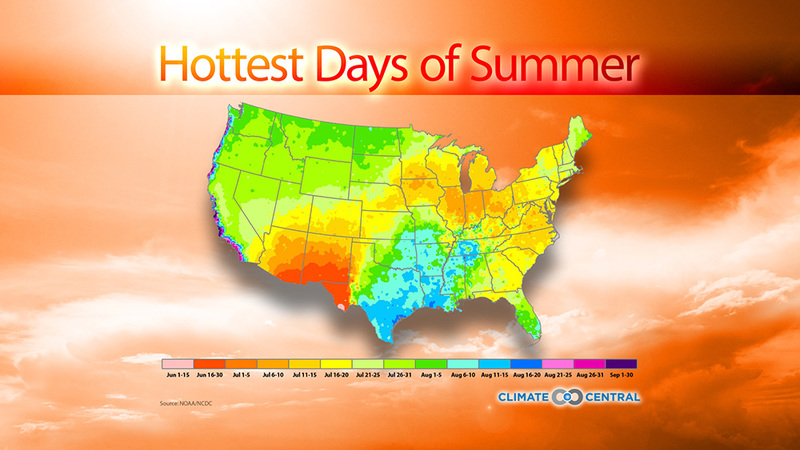 The hottest time of year in the continental U.S. statistically comes in mid-July, but the timing of peak heat varies. 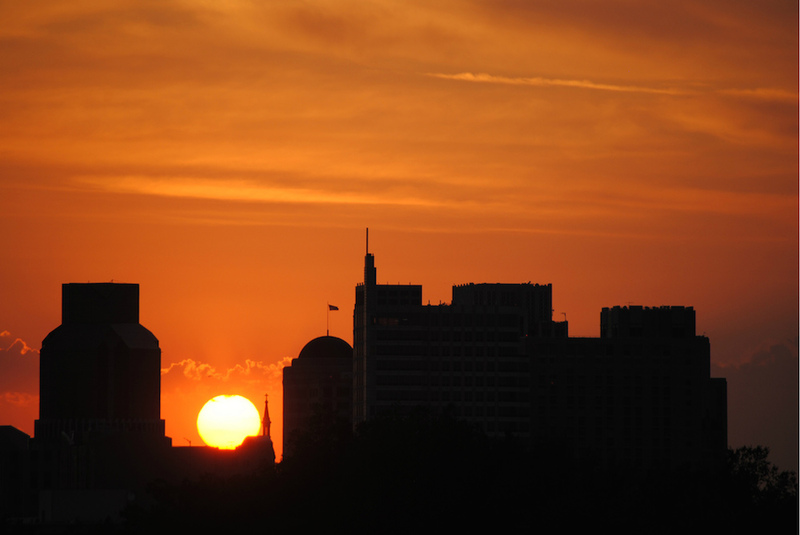 Statistically, the hottest time of year in the continental U.S. comes in mid-July, a few weeks after the sun reaches its highest point in the sky on the summer solstice. This year the solstice was on June 21. But that mid-July peak heat is just a national average: if you look at smaller regions, the peak temperature might come earlier (that’s true for southern Arizona and New Mexico), or as late as September (most of the extreme Pacific Coast). Of course, any given year could see temperatures peak at a different time due to short-term variability. But if you move from, say, Tucson to Los Angeles, you’re going to notice temperatures peak much later in the summer than what you’re used to seeing. The difference can be dramatic even within a single state: El Paso’s hottest weeks come in late June, while Houston’s come in August. The reason for all of this spread has to do with local climate variations: in parts of the Southwest, the North American monsoon makes July, August and September relatively rainy and cool. 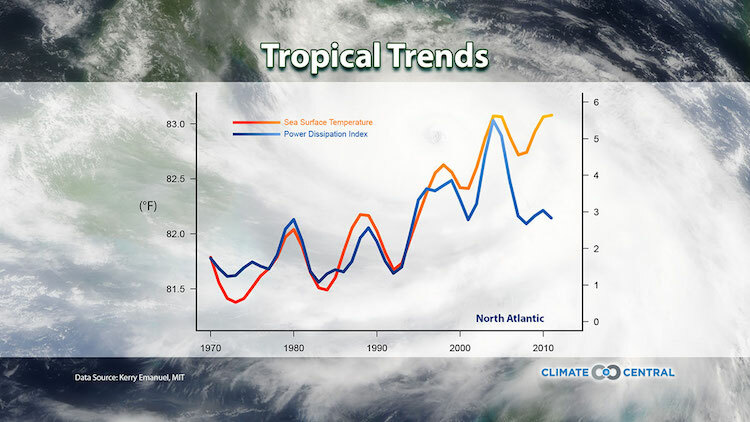 Along the West Coast, by contrast, cool, moist air from the Pacific Ocean nudges its way ashore in late spring. Depending on where you live, it’s called either “May Gray” or “June Gloom”. 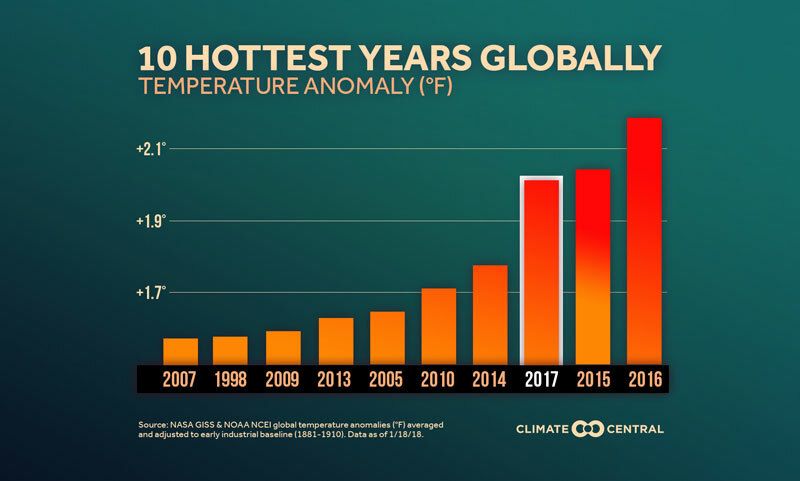 As the climate continues to warm under the influence of increasing greenhouse gases in the atmosphere, summers are likely to get hotter in most places. 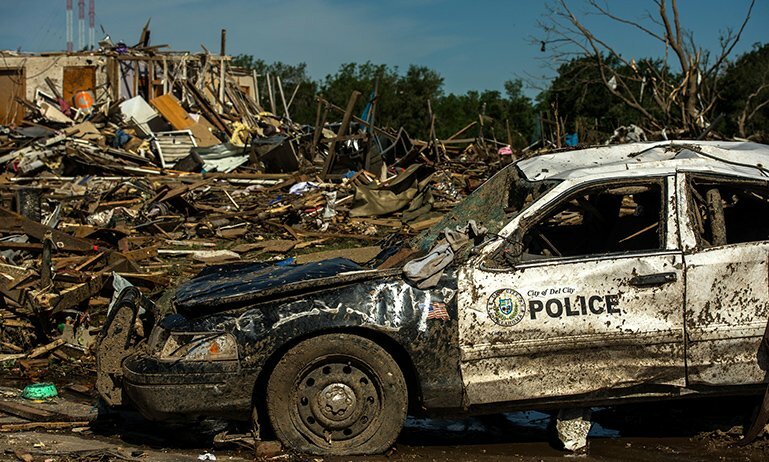 But since climate change is likely to affect weather patterns as well, some places could see their warmest days shifting earlier or later in the season. 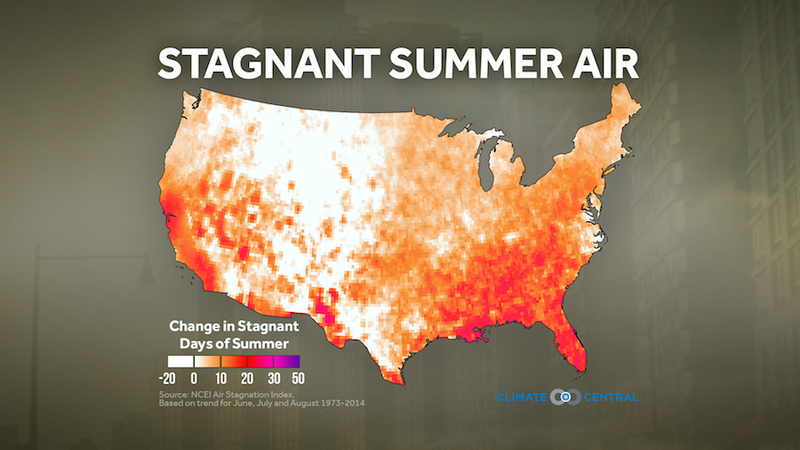 Summer Nights Are Heating Up Across U.S.
Stagnant Summer Days on the Rise in U.S.